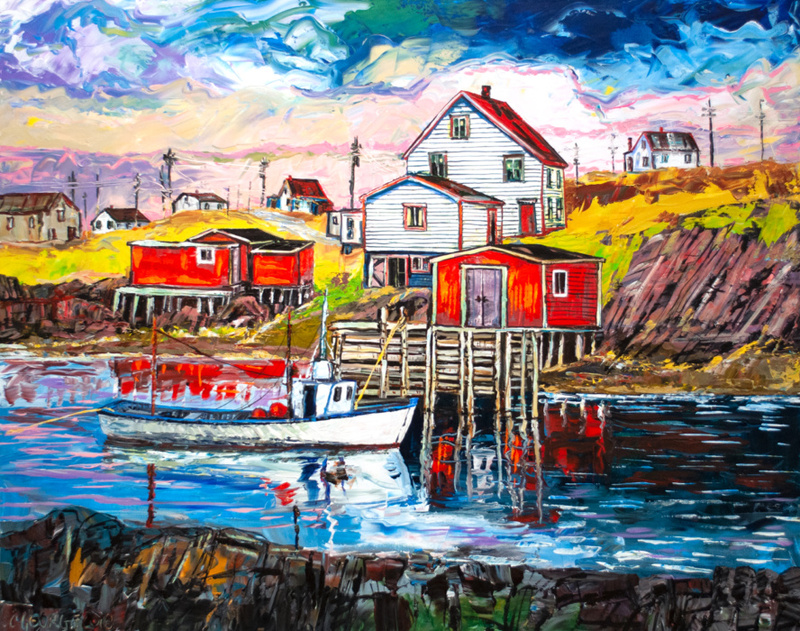 Clifford George lives and works in Whiteway, Trinity Bay. 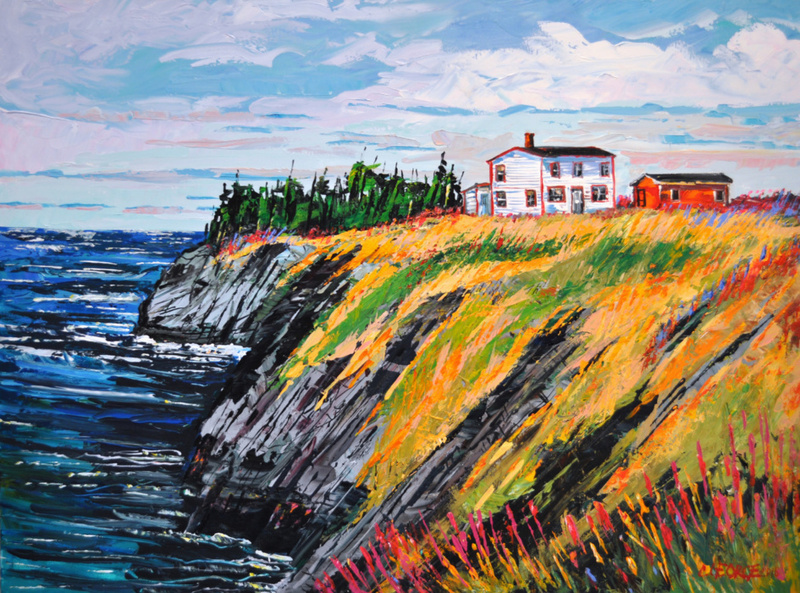 He has actively painted and exhibited since 1970. 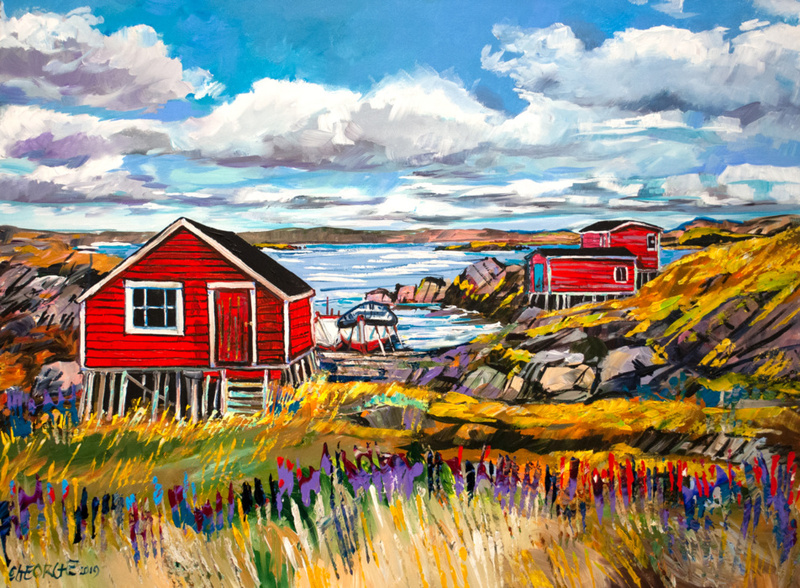 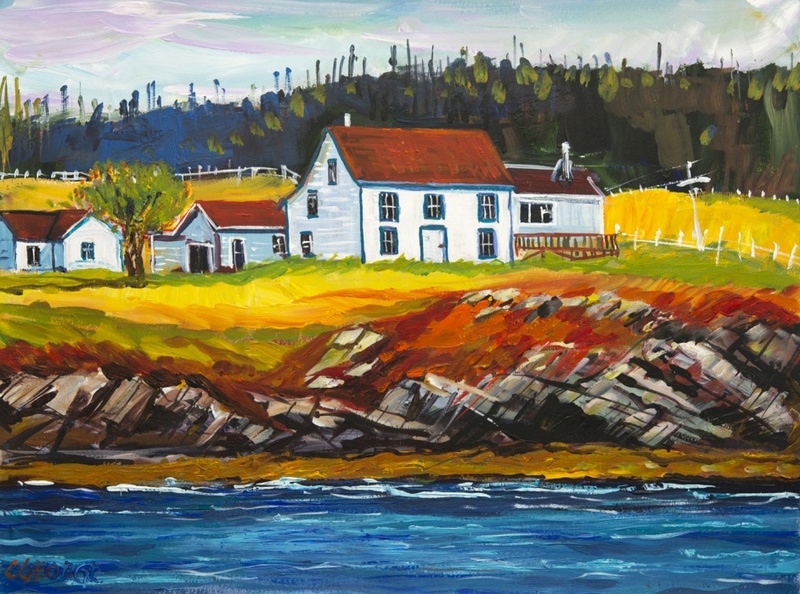 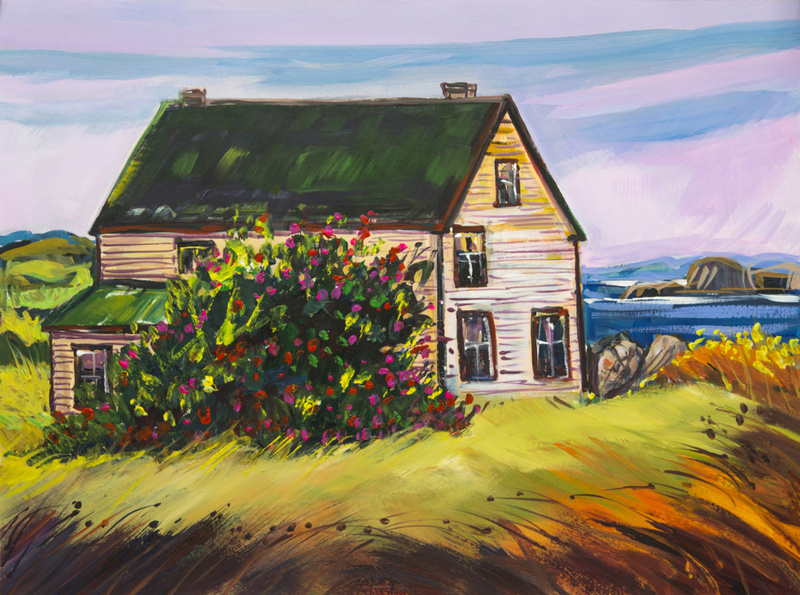 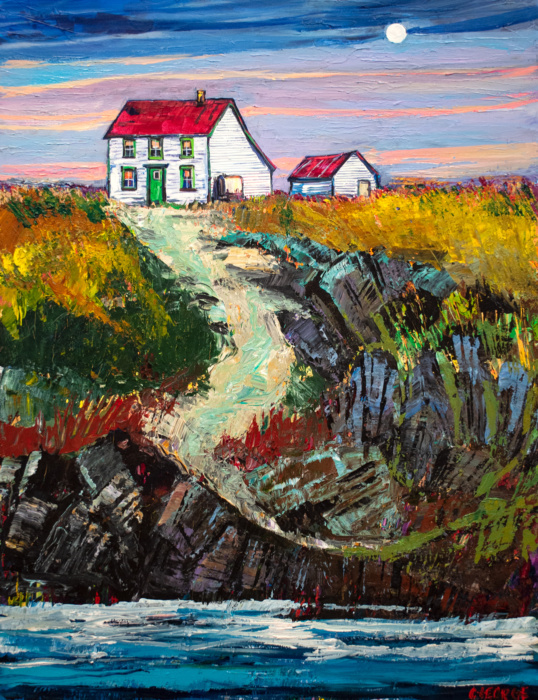 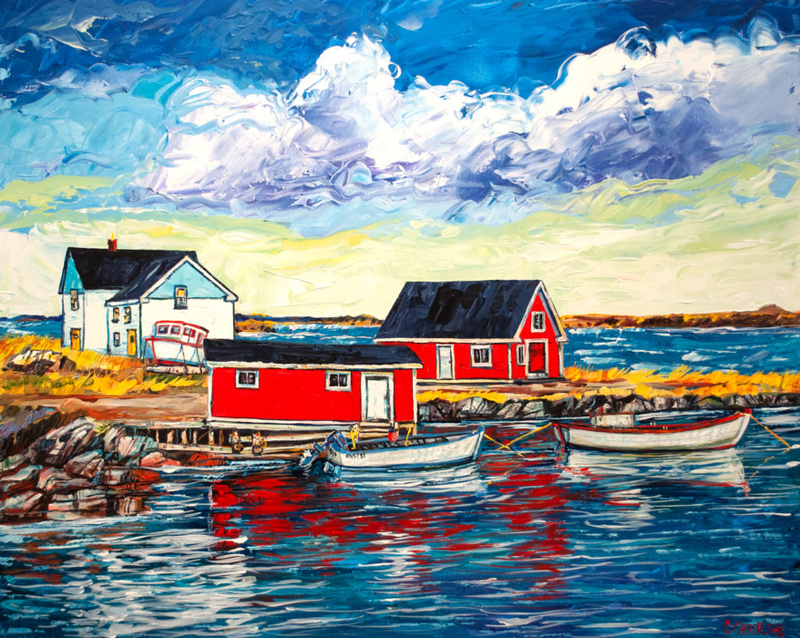 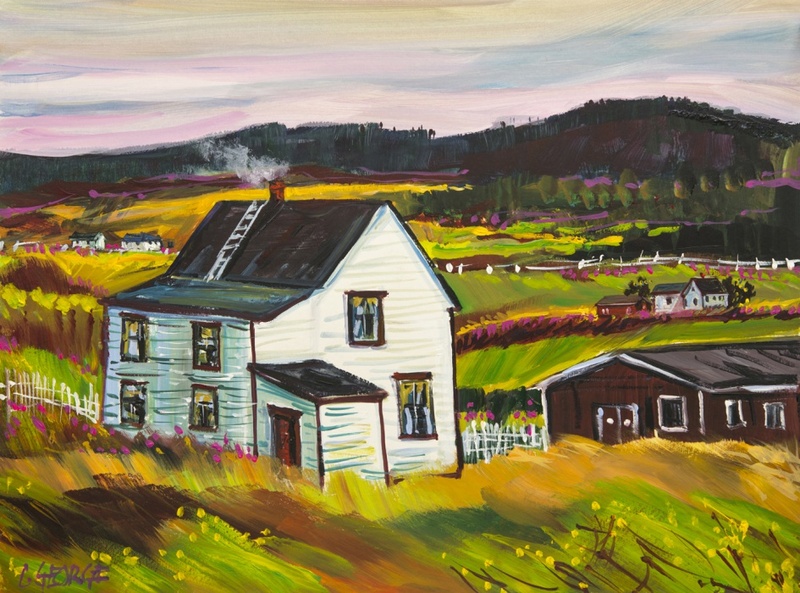 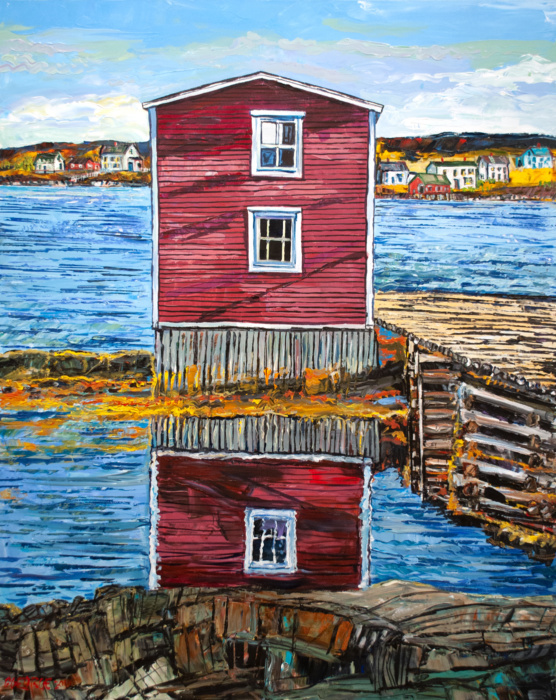 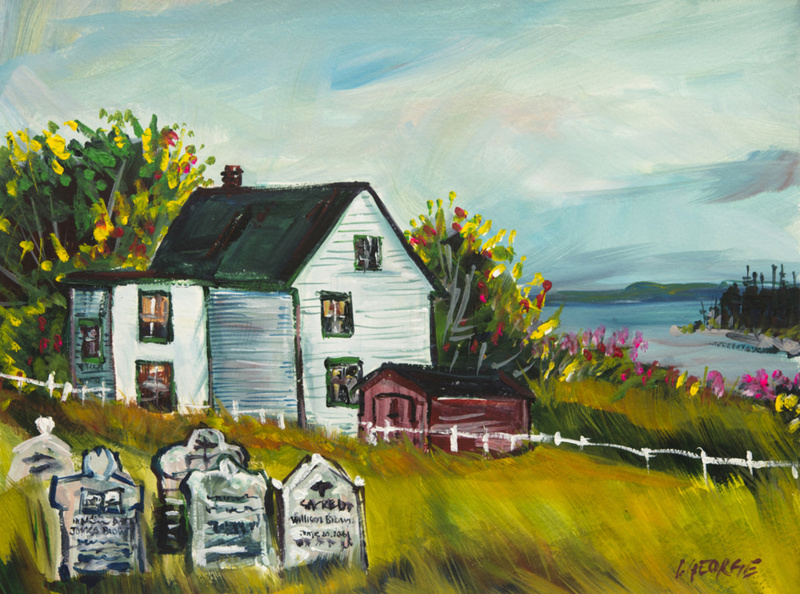 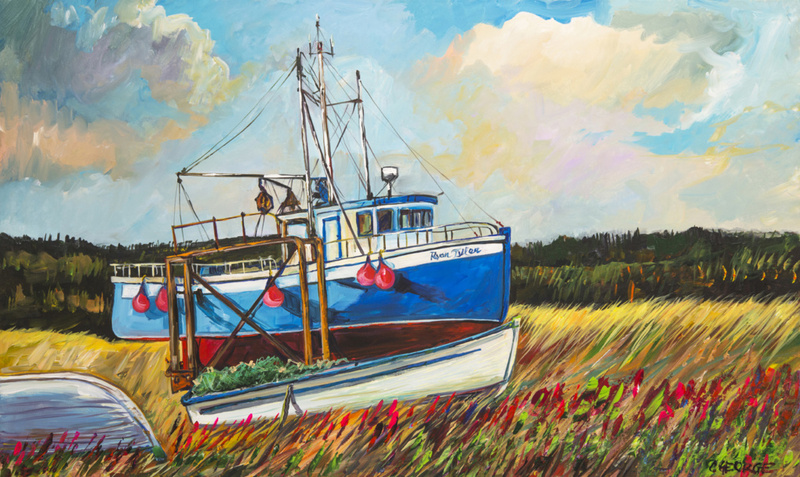 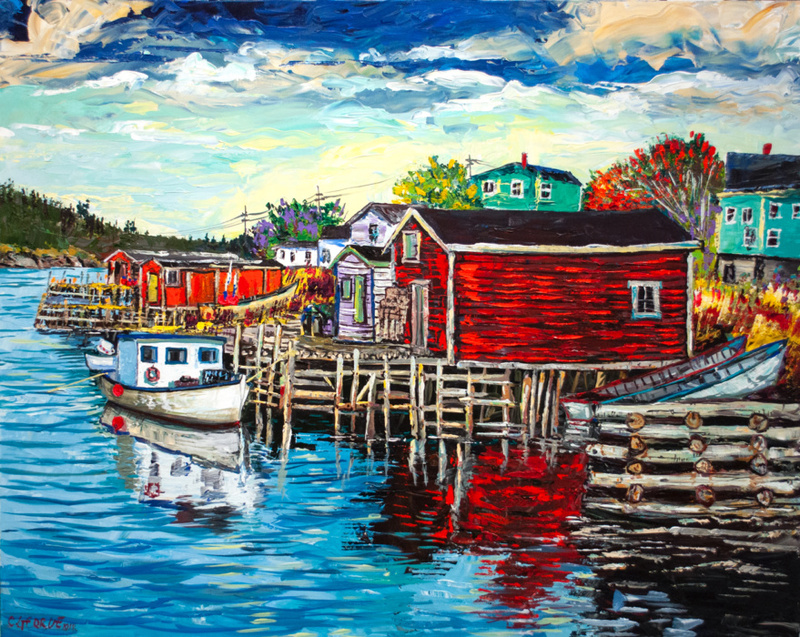 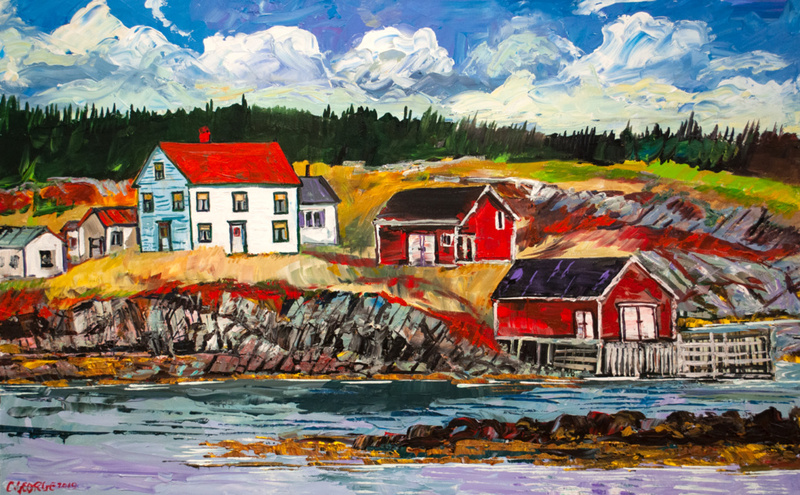 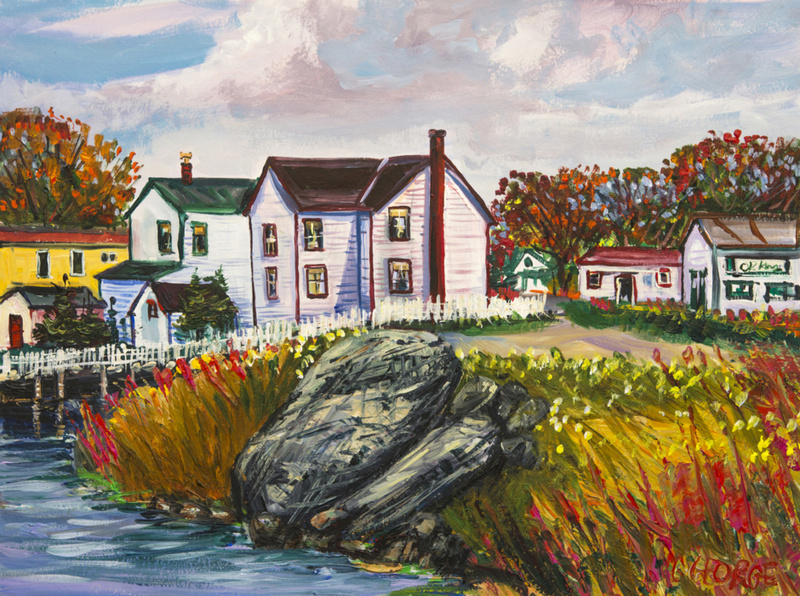 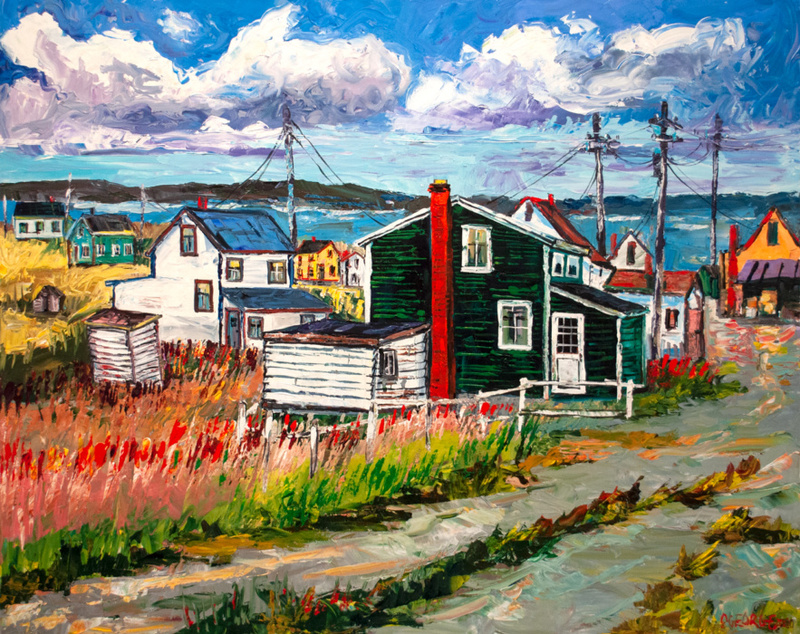 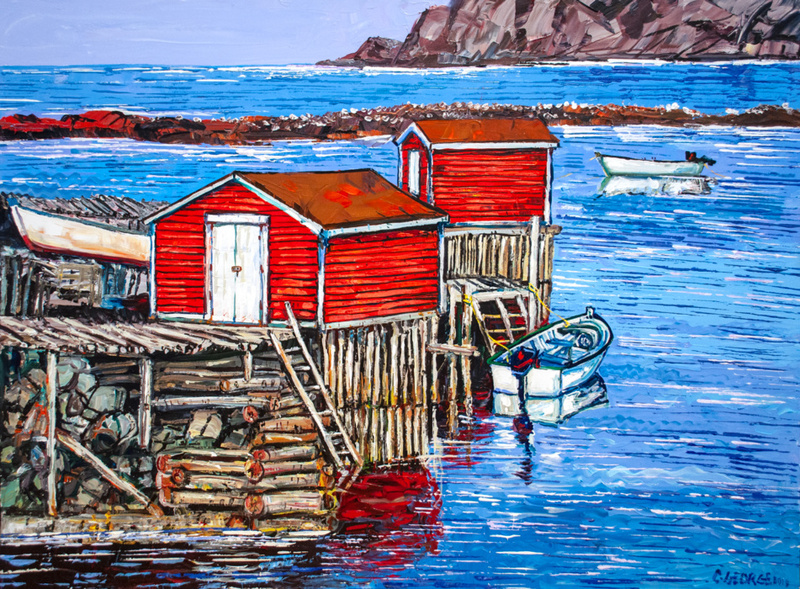 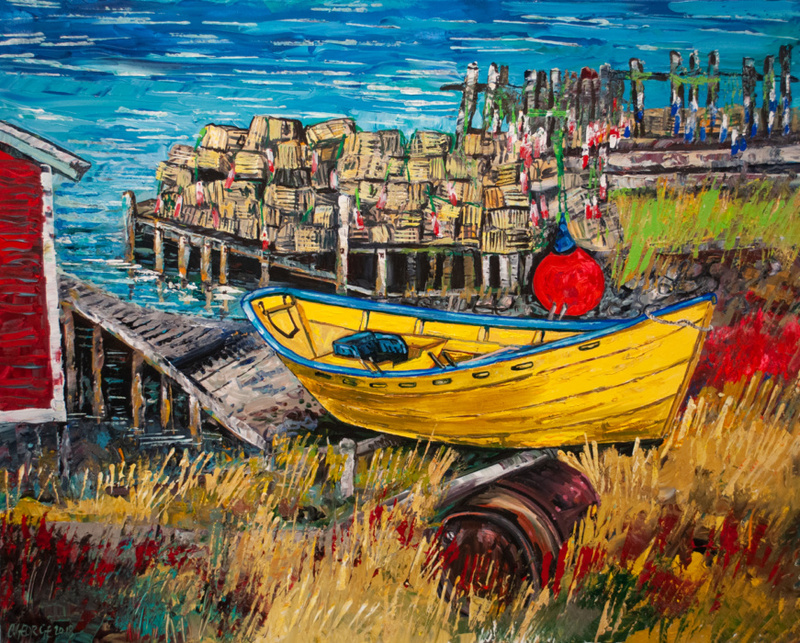 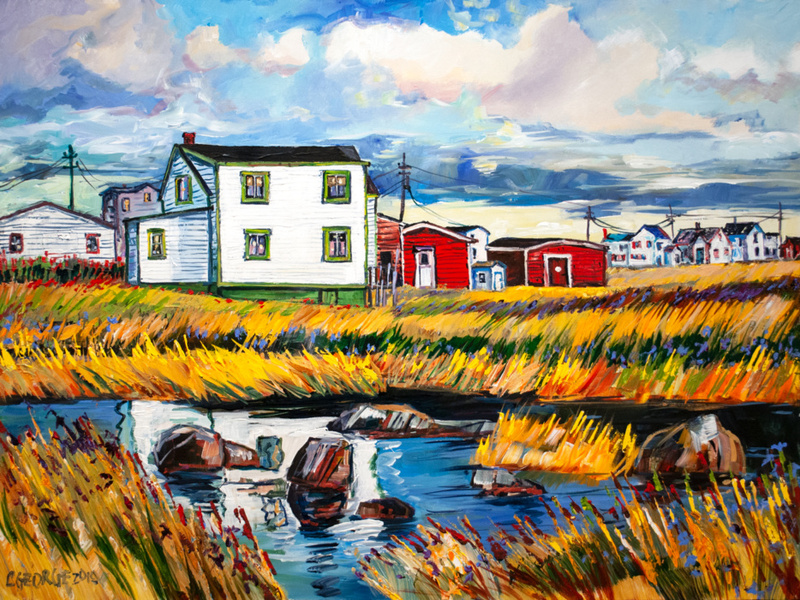 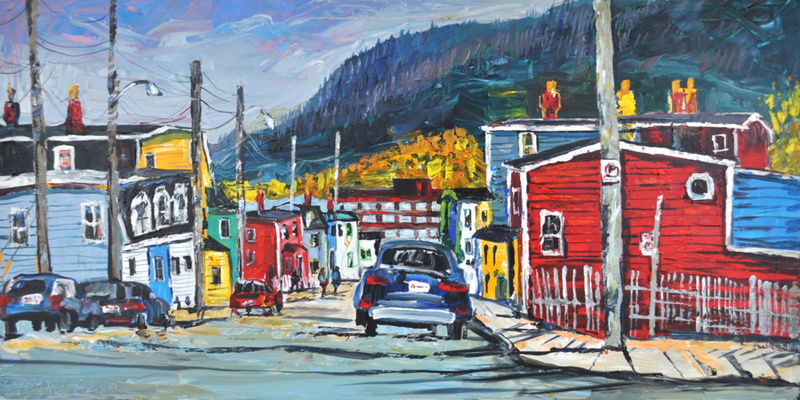 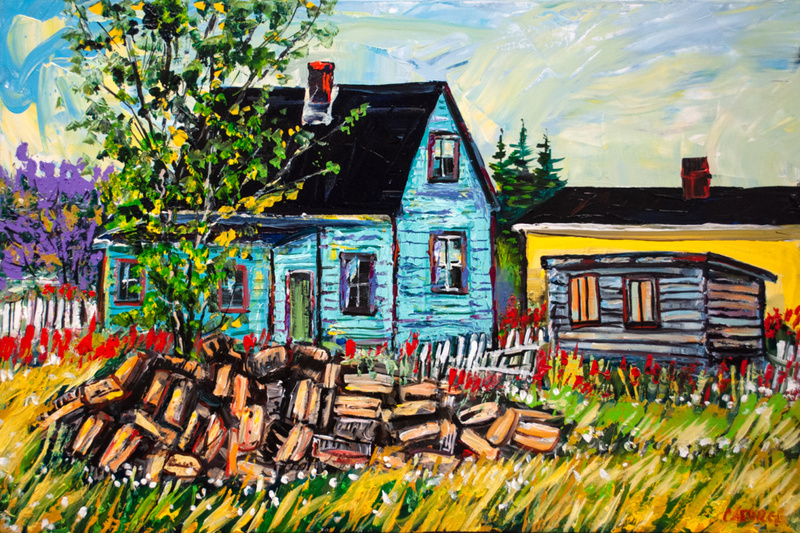 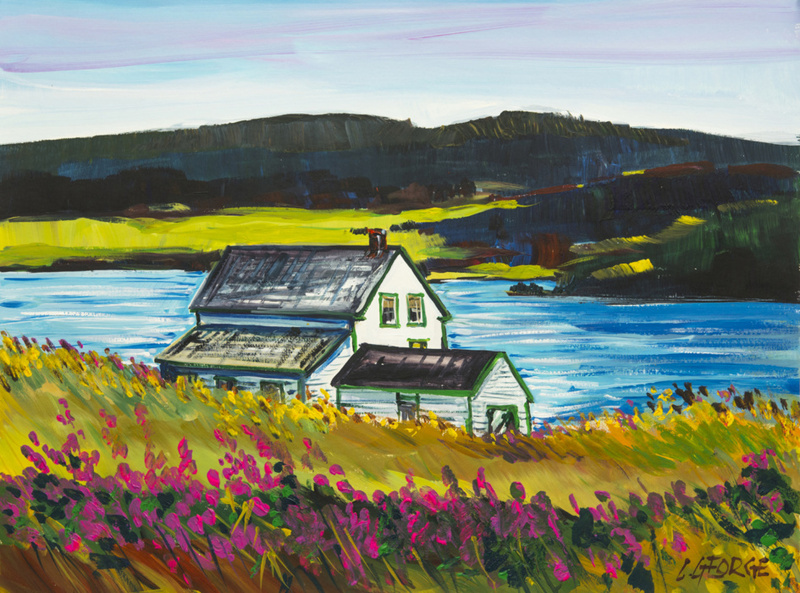 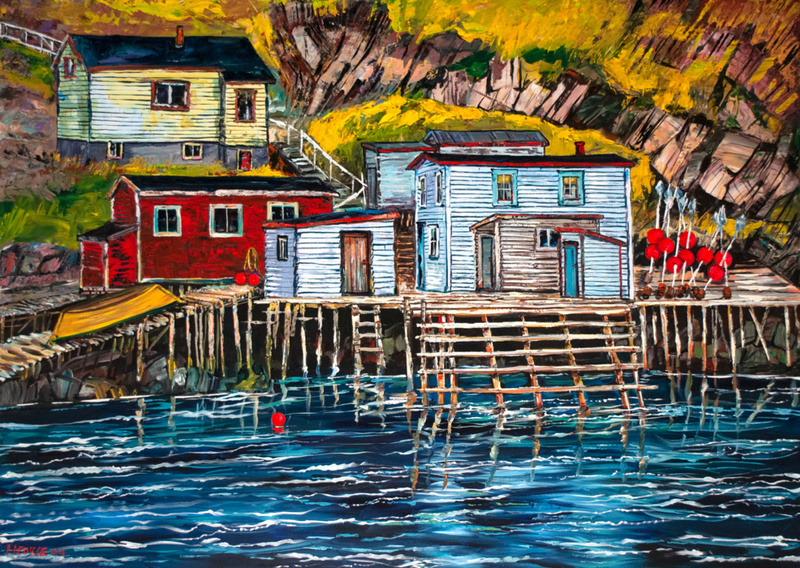 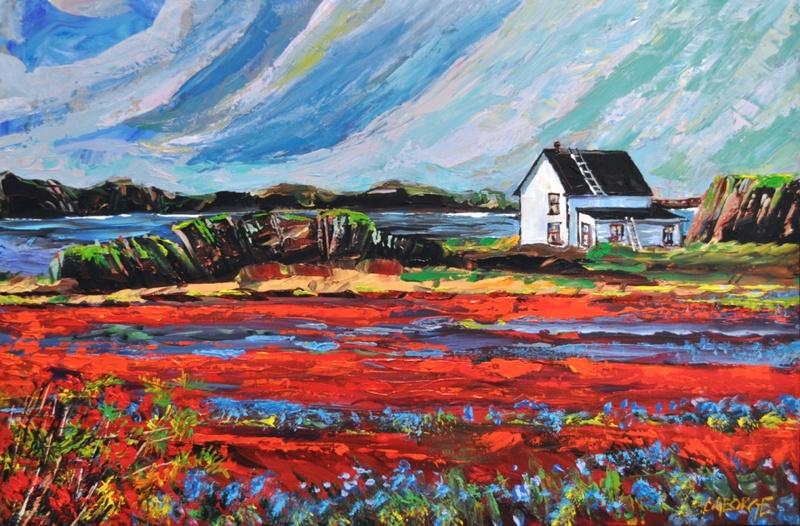 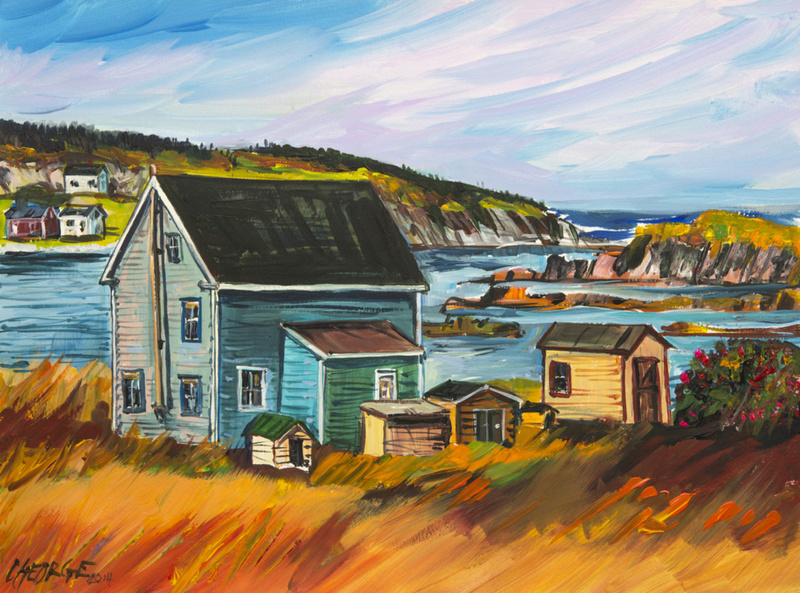 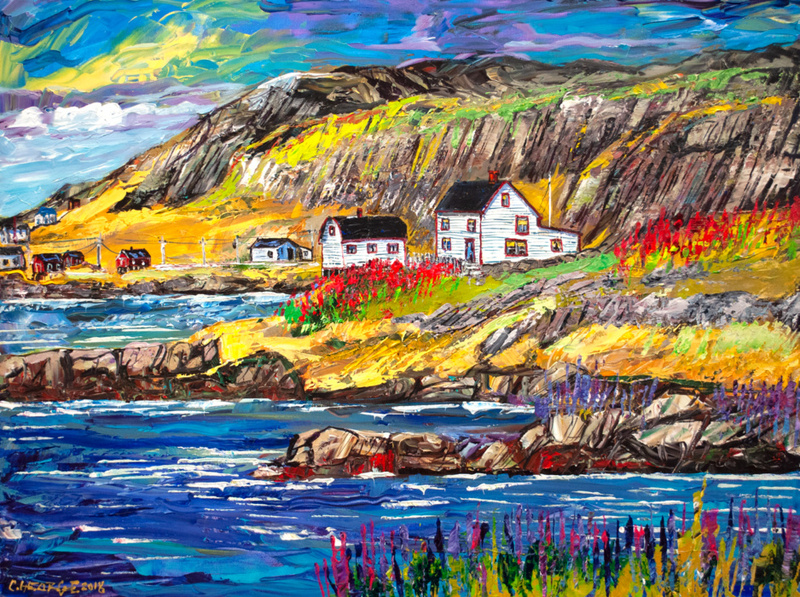 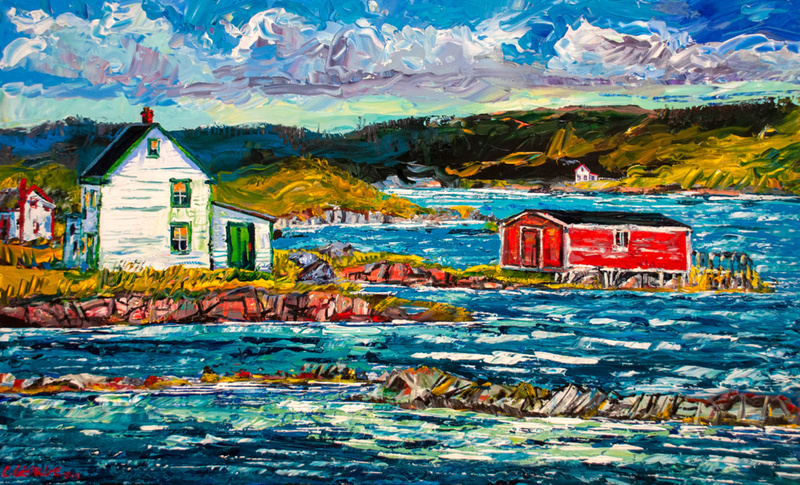 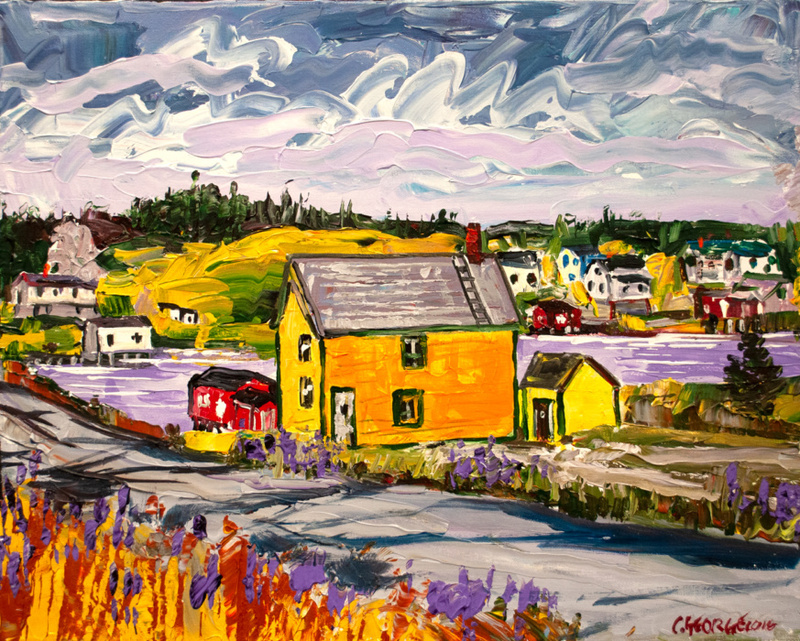 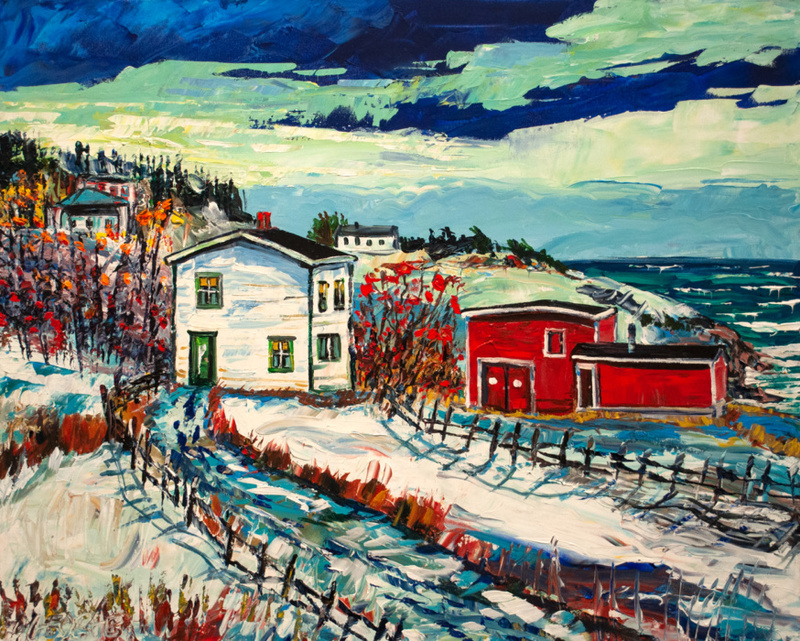 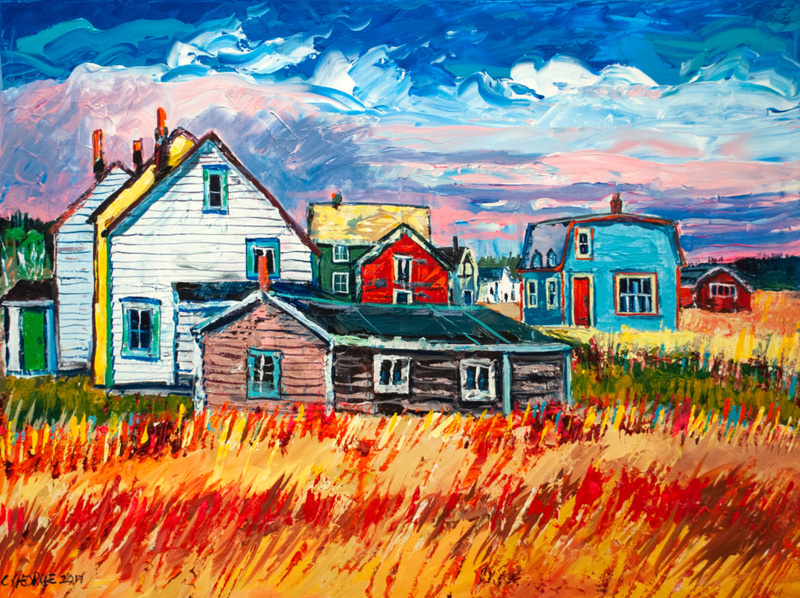 While primarily self-taught, he received a formal art education at the College of Trades and Technology in St. John’s where he graduated in 1972. 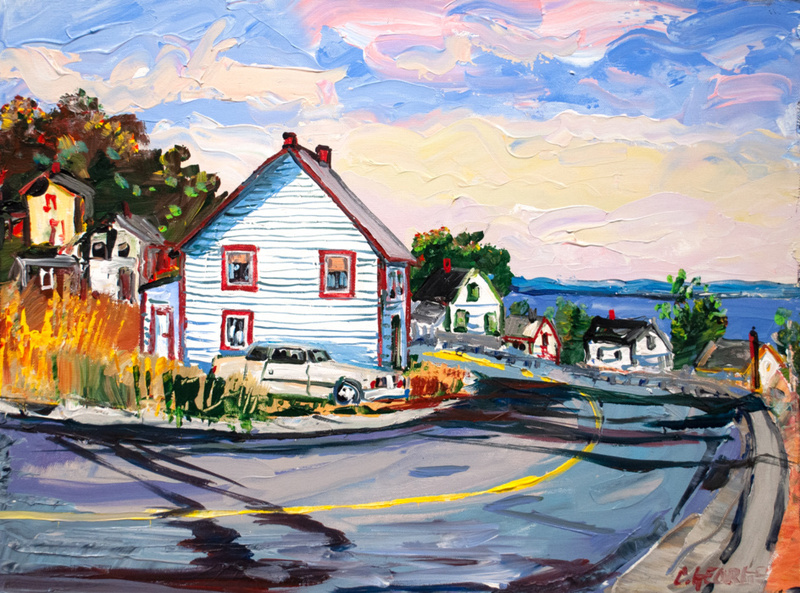 His career post-education was as a sign painter. 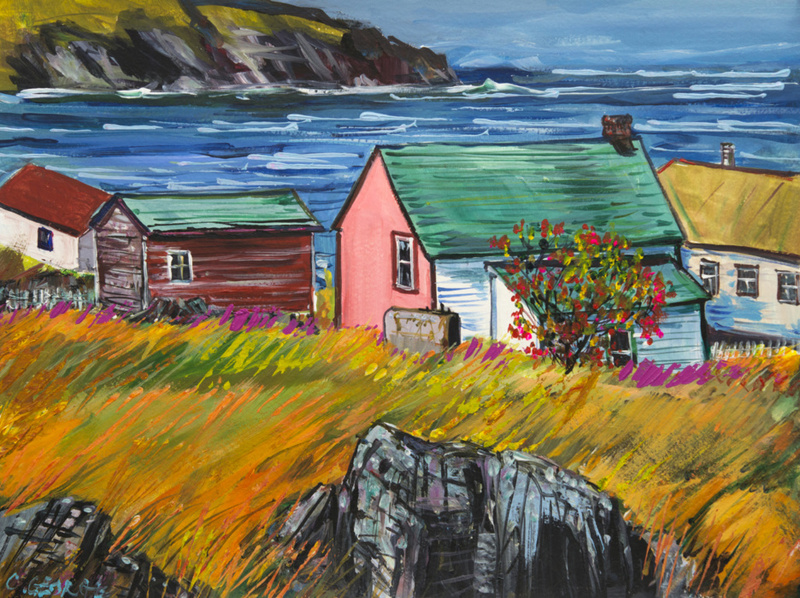 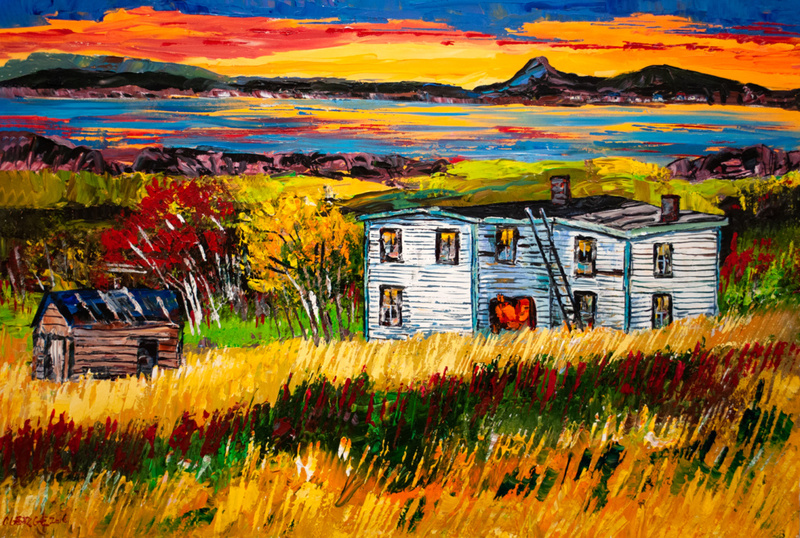 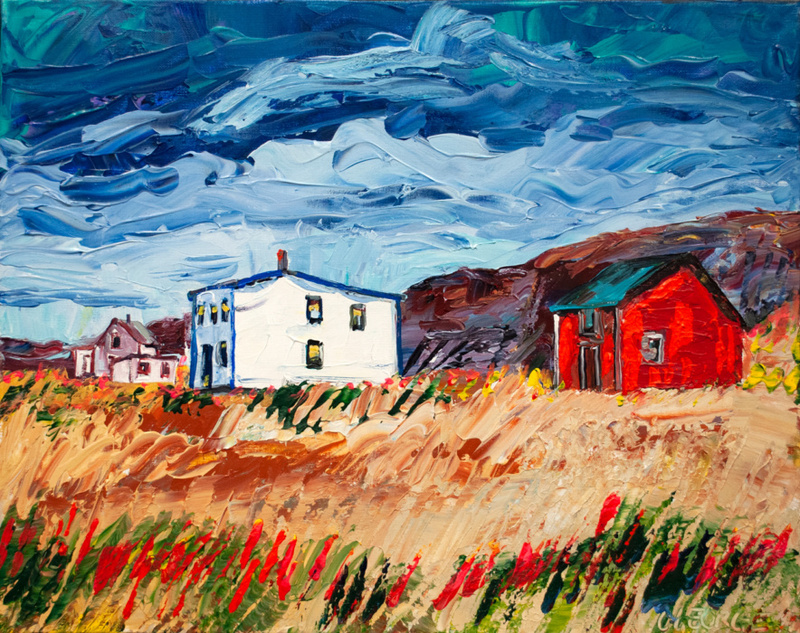 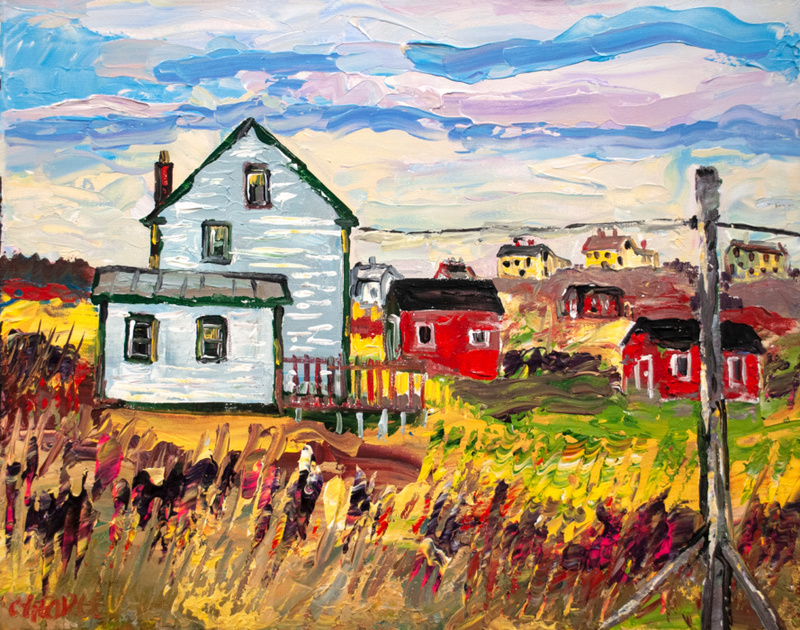 Clifford continued his art education by doing private study and workshops with some of the most important artists in Newfoundland like Gerald Squires, Frank LaPointe and Don Wright. 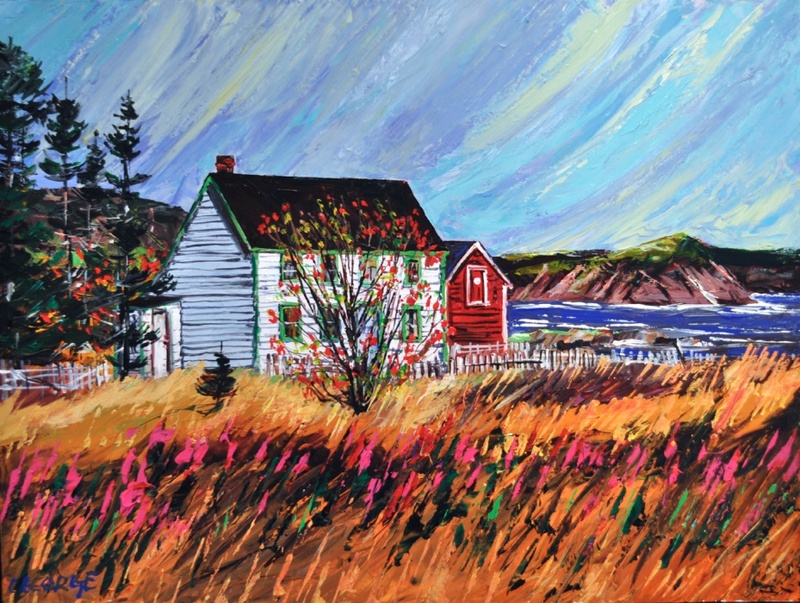 Later, his drawing ability led him to a job as a medical artist at the Health Science Centre associated with Memorial University, where his drawings of medical procedures were published in many international medical journals. 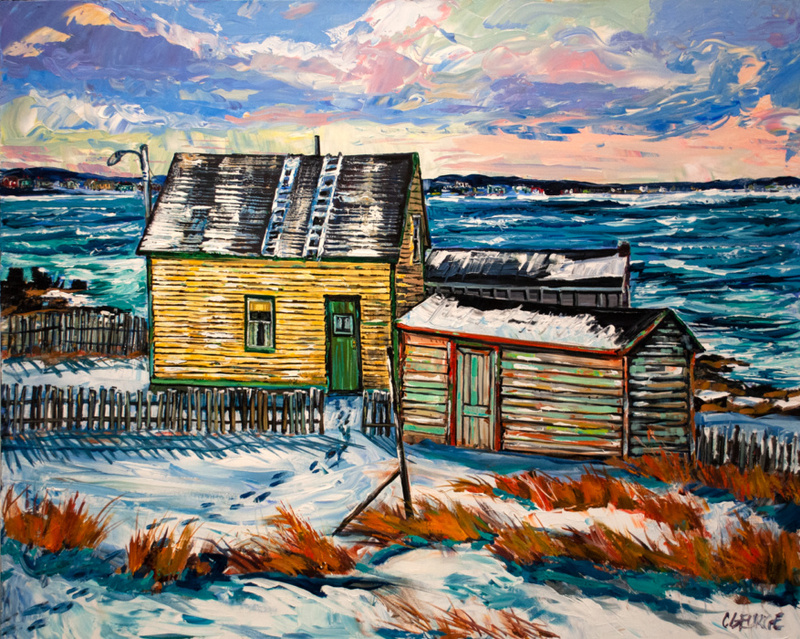 The paintings of Clifford George are in both public and private collections around the world. 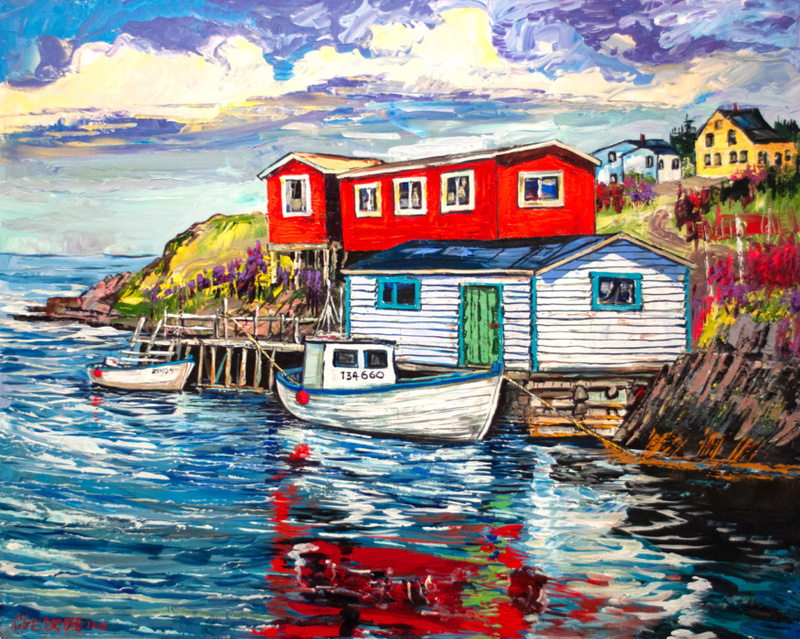 Amanda Mews walks through Anchored To The Ocean with Clifford George.